Creating a unified region with engaged community members is critical to the economic vitality of Greater Des Moines (DSM). The Partnership can connect its Investors and Members with each other to support economic and community growth in Des Moines. Volunteer opportunities are available with any number of councils and committees with focus areas that include government and public policy, talent attraction and retention, Downtown events and much more. For more information on becoming a Member of one of The Partnership's 24 Regional Affiliate Chambers of Commerce, visit our Affiliate Chambers page. Learn more about Investing in The Partnership here. We are stronger together, and we need your help! Learn more about The Partnership's Strategic Priorities for 2019 and how you can get involved to help achieve monumental results for the future of DSM. Provides oversight of the development and implementation of innovative and proactive workforce attraction and retention practices to meet the demands of Des Moines' labor pool. Contact Mary Bontrager for more information. Acts as a catalyst to mobilize the business community toward a broad economic development vision that incorporates all people as valued contributors and valuable customers and provides access to diversity-related educational resources to all organizations in the region. The Inclusion Council supports talent attraction, retention and development efforts. Contact Mary Bontrager for more information. Provides Member, Investors and Affiliate organizations an opportunity to help shape The Partnership's regional, state and federal policy agendas. This non-partisan group is active throughout the calendar year by engaging our region's elected officials in The Partnership's community and economic development efforts. Contact Joe Murphy for more information. Creates and delivers a youth leadership program for the region's high school students focused on developing and fostering leadership skills through experiential mentoring and leadership experiences that enhance self-esteem and encourage involvement in all levels of community life. The YLI Council introduces, develops and nurtures leadership skills. Contact Mary Bontrager for more information. Sign up to share the latest news about Des Moines. 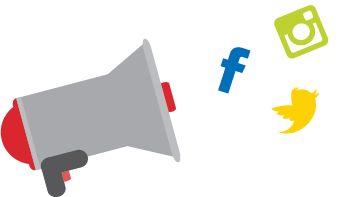 DSM USA Ambassadors receive email alerts when good news is announced and are encouraged to share the news with the nation and world via social media. DSM USA Ambassadors also tell the story of the region in their own words through blogs. Sign up to be a DSM USA Ambassador here. An initiative of The Partnership designed to further talent development in Des Moines, provides young professionals the opportunity to connect to each other and to the community through social, civic, charitable and professional development endeavors. Check out the various YPC committees at YPCDSM.com for more information about how to become involved. Assists in brainstorming, providing input and feedback through four different committees of focus, including public relations and marketing, branding, digital communications and events. The Communications Committees are an extension of The Partnership's communications and marketing efforts. Contact Tiffany Tauscheck for more information. The Downtown Farmers’ Market, ImaginEve!, Wonder of Words Festival and World Food & Music Festival are produced by The Partnership. The Greater Des Moines Partnership is a partner of the Des Moines Arts Festival®. Support The Market, 7 a.m. - Noon, rain or shine, every Saturday from May through October at the Historic Court District in Downtown Des Moines (DSM). Contact Lydia Zerby for more information on The Market. Taste your way around the world at Des Moines' premier food and entertainment event. Assist with production of the World Food & Music Festival. Contact Emily Lyon for more information on World Food & Music Festival. The Festival will feature nationally-acclaimed authors, book club discussions led by featured commentators, hands-on learning activities, children's programming, food, drink and more. Contact Colleen Murphy for more information about the DSM Book Festival. Assist with all aspects of helping produce the internationally recognized Des Moines Arts Festival®. Contact Daphne Dickens or find more information about how to get involved here. The Partnership has a number of additional opportunities for sponsorships, investment and involvement. To learn more about sponsorship opportunities for Downtown DSM events, contact Colleen Murphy for more information. The Partnership Mentor Connection is designed for founders of small businesses and startups throughout DSM. Learn how to sign up as a mentor or mentee. Plains Angels is a group of Iowa-based Midwest angel investors dedicated to assisting early-stage growth companies by being an excellent source of funding and advice. Learn more here. Sponsor The Partnership's annual trip to Washington, D.C. Learn more about the trip here and contact Director of Public Policy Andrea Woodard to learn about sponsorship opportunities. Become a Chamber Member by joining one of The Partnership's 24 Affiliate Chambers of Commerce to be listed within The Partnership's online business directory. Read the latest news from The Partnership and its initiatives and programming. To have news delivered to your inbox, sign up for The Partnership's e-newsletters. Get social! Follow The Partnership on social media and become a DSM USA Ambassador to help amplify Des Moines' news to the world.